Can you remember the last time worked 24 hour shifts for several months in a row? Keeping schedules like that is nearly impossible; the same goes for your AC unit. It can get overworked during the hot summer months. Living in the Sacramento Valley, no doubt your system is working triple time. You are probably starting to feel bad for your A/C unit, but you don’t have to if you keep some key factors in mind. Quality HVAC systems are made to handle the high demand you expect, so long as you maintain them properly and schedule your AC maintenance every spring. As it starts to get warmer outside homeowners tend to crank the A/C way down. Consider setting your thermostat a degree or two below the outside temperature. You will feel a noticeable difference from the warm outside air but the temperature difference won’t be so dramatic that your A/C system is working overtime to maintain. When leaving the house for work or vacation it’s a good idea to set the temperature to a higher setting. If you turn your system off completely, when you return most likely you are going to demand a 20-degree decrease. This can be a lot of stress on your system especially during the hottest part of the day. Spring is a great time to complete some home renovations. Consider making some upgrades that will lessen the strain on your A/C unit and reduce the overall need for possible A/C repairs. Installing energy efficient windows and checking to make sure duct work is attached at plenums and registers. Adding some more insulation in the attic and making sure all doors have sweeps will help cut down on lost air as well as help your energy bill. Install overhead fans in the bedrooms and living rooms to move around the air and bring warm air down from the ceiling to cool. Just a few things you as a homeowner can do to help cut down on the unnecessary costs due to an overworked A/C system. 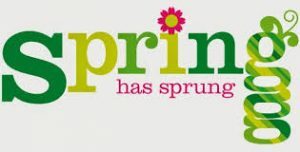 Don’t forget- It’s time to start thinking about doing your spring maintenance before it gets hot, it will be too late by then.